Gaddafi was ousted from power in the wake of the fall of Tripoli to the rebel forces on August 2011. The vast assets that the Libyan government held in Europe, Africa and Asia and were managed by the Libyan Investment Authority (LIA) have fallen to crooks and fraudsters. Libya has no state or organs, and no functional government exist since 2011. In Zambia, the sale of the telecom company Zamtel appear to fall into this category. Michael Sata nullified the $480m sale stating that it was done fraudulently and through corruption. But lawyers from or representing the “Libyan Investment Authority” with no instructions from no one have won a case in the London High Court ordering Zambia to pay or refund the sale amount. But of worry is the speed in which Zambia’s Minister of Finance Felix Mutati has accepted the Judgement insisting that there would be no appeal and the government has to find money to Libya! But who would Zambia pay? THE LONDON High Court has ordered that Zambia compensates $380million for nationalization of Zambia Telecommunications Company. This was a deal in which Lap Green deal on purchase of Zamtel was abruptly reversed without compensation. The Libyan Investment Authority (LIA) launched legal action against Zambia over the alleged nationalisation of the Zambia Telecommunications Company (Zamtel). The Authority reportedly pursued similar action against Chad, Rwanda and Niger, according to Financial Times of London. 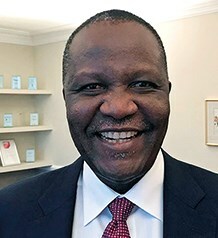 Hassan Bouhadi, chairman of the LIA, is quoted as saying the legal action related to technology assets in the four countries named. .
Zambia’s Finance Minister Felix Mutati told law makers in Lusaka by high court to compensate LAP Green for seizing Zamtel from the Libyan sovereign fund in 2012. He however Mutati didn’t give details over which court made the order nor payment timeline. “The LIA is determined to regain what was squandered from the Libyan people,” Bouhadi said a few months ago. In 2012 Lap Green Networks was forced to handover Zamtel to the new Zambian government over allegations that the company was dubiously and corruptly sold to the Libyans. The company was sold in 2010 by the previous Zambian government for US$394 million on grounds that it had failed to recapitalise the business. According to an article on itwebafrica, for over three years, the Zambian government has failed to make public a report by the Commission of inquiry into the sale of Zamtel. In 2012, the then Zambian President Michael Sata – MHSRIP- constituted a commission of inquiry to investigate how Zamtel was sold to the Libyans. Although the Commission of Inquiry handed over the report to the Zambian government soon thereafter, the report has not been made public. In December last year, the Zambian government agreed to repay the US$103 million loan that Lap Green Networks obtained from China’s ZTE in 2011 for the expansion of Zamtel network.